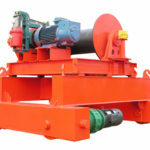 Lifting winch is specifically designed to lift a heavy load in a variety of industrial sites. It can be powered by electricity or hydraulics. The lifting winch machine supplied by our company is available in many different sizes and configurations to meet your particular applications. It makes the heavy lifting tasks much easier. 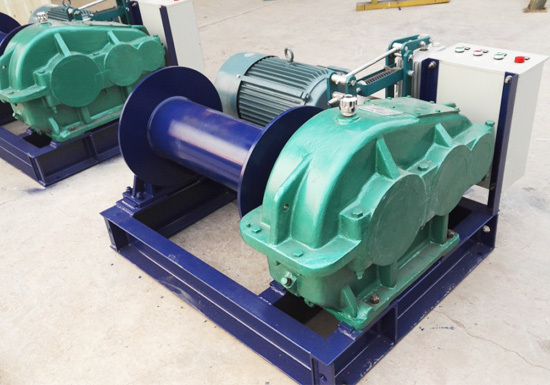 The design of industrial lifting winch is meant for the utmost reliability and safety, easy handling and environmental friendly. If you are looking for a winch for lifting, then go for Aimix group. We will help you choose the right equipment for your job. 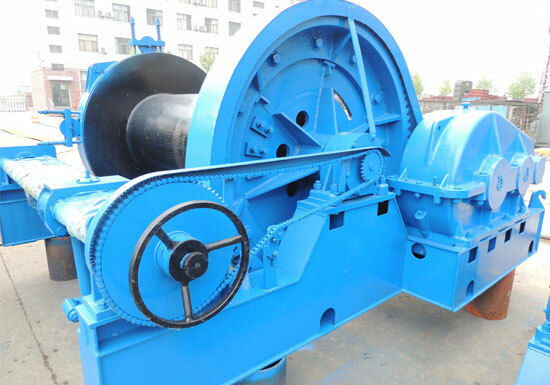 Before selecting a winch machine, it is very important for you to fully understand different types of winches. 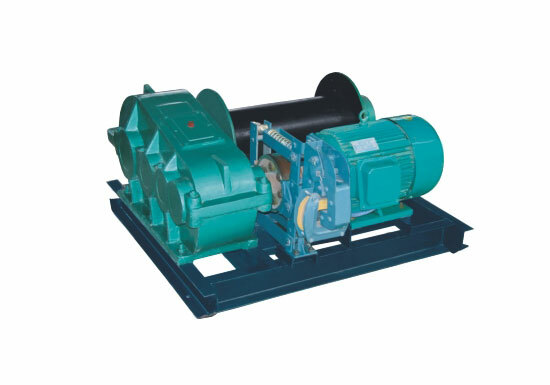 According to motive power, it can be divided into electric and hydraulic lifting winch. And also, pneumatic lifting winch and diesel winch can be designed and built to serve your specific uses. With different power options, we always suggest you to try electric first because the electric lifting winch is very safe and easy to use. And more importantly, it costs less than other types of power winches. 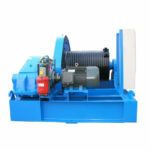 According to working speed, we have slow speed electric winch and high speed winch for you to choose from. 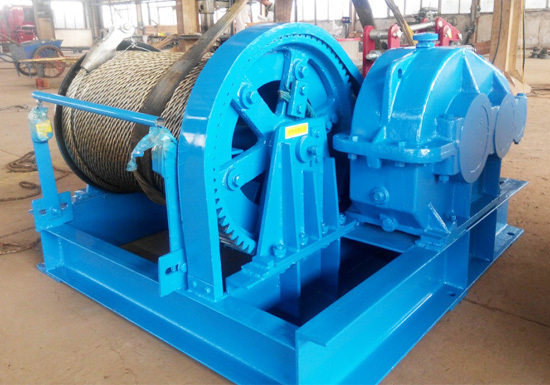 The JM type winch with slow speed operation is ideal for civil engineering and installation works, heavy equipment installation and dismantling. While the JK type winch is designed for lifting materials in a high speed. It can also serve as a hoist winch on derricks and cranes. JKL type electric winch is a sort of vertical lifting winch widely applied in construction sites, mining areas, factories and ports. It is especially suitable for free fall punching and piling operations in bridge, dock and building foundation engineering. 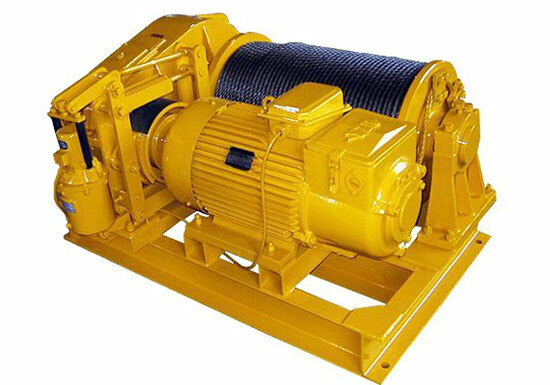 According to winch voltage, 120v lifting winch and 240v lifting winch are available for your choice. The selection of winch lifting equipment depends on many factors including your required lifting capacity, speed, rope capacity and working environment. If you have any question, consult with the lifting winch manufacturer. 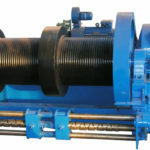 We will assist you to select the proper type of winch for your intended application. Reliable and stable performance. 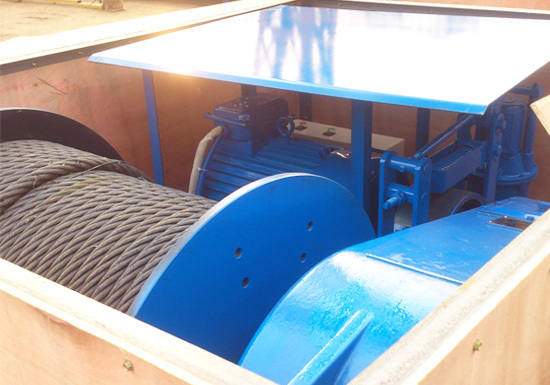 Our electric winches for lifting require less maintenance care. They are designed for better efficiency and greater productivity. Compact design. 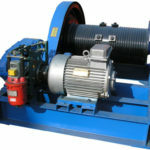 The cable lifting winch is very easy to install and accommodate your specific situations. High stability. Our winch for lifting material delivers constant lifting torque and speed. Long working life. 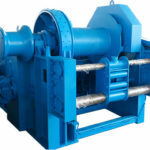 The winch machine supplied by our company is made of high quality materials. Large diameter drum is utilized to help extend its life. Better corrosion resistance. Our winch uses durable paint finish to prevent it from corroding in harsh working environments. 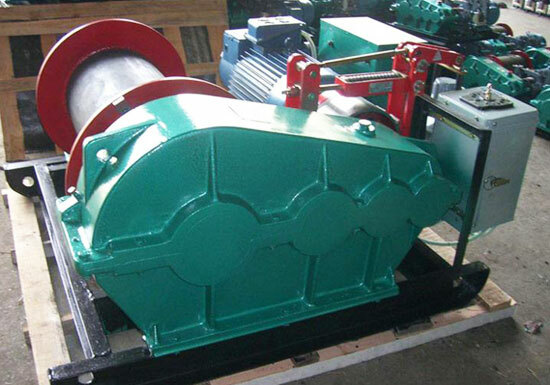 Motor: it is the unit to provide power to the gear mechanism, which then will drive the drum to rotate and wind the wire rope in or out. 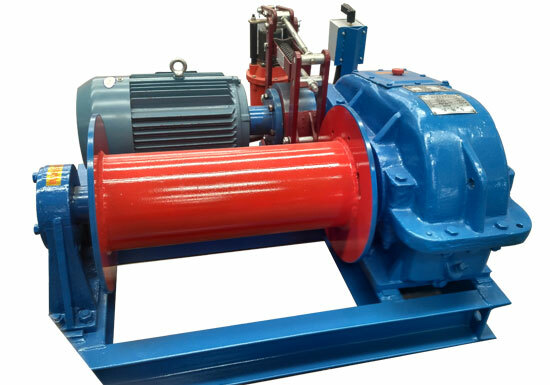 The motor comes in two main options, single and three phase motor. 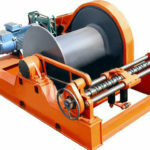 Winch drum: it is a horizontal cylinder onto which the cable or rope is spooled. We offer single or double drum to meet your specific needs. 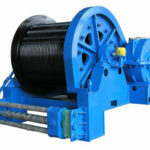 In addition, the grooved drum can be designed to provide better rope spooling. Wire rope: the rope diameter and length depends largely on the rated load capacity of the winch. Transmission: it converts the motor power into large pulling force. Different forms of transmission system are available to fit your winch, such as reduction gear and planetary gear. Brake: it is applied to the winch drum when the motor is stopped and there is load on the rope. Control box: it is used to control and change the drum rotation. Remote control: it plugs into the winch control box, allowing the operator to stay away from the wire rope and load during operation. The marine lifting winch should be specifically designed to accommodate hash marine environments. For instance, it utilizes marine-duty motors and gearbox to protect the machine. It also uses durable paint finish to prevent corrosion in salt-water environment. Our winch for marine can be tailored to serve your particular operating conditions. It is available in multiple options, including three phase motors, grooved drum, electronic overload protection, pressure roller, limit switches, drum guard and emergency crank. 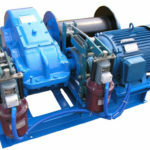 Our high quality winches deliver reliable performance and long lasting service. They offer maximum environmental resistance for heavy lifting applications. 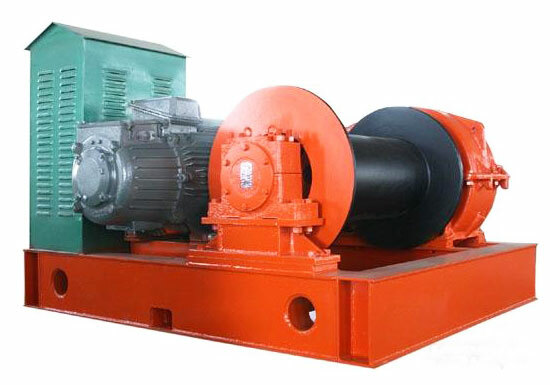 If you are interested in marine duty winch, fill out the contact form to get the latest price. In order to reduce the potential risks of injuries, the lifting hoist winch must be properly checked and maintained. Here are general guidelines for winch safe operation. Check your winch daily before use. If the rope has been broken or frayed, replace it right away. Make sure the rope is spooled neatly before operating the winch. Keep the winch and rope clean. Maintain your winch regularly to make sure it remains in proper working condition. Never exceed the rated load capacity during operation. Where to Buy Lifting Winch? With so many winch manufacturers and suppliers out there, it could be hard for you to determine the right equipment for the job. 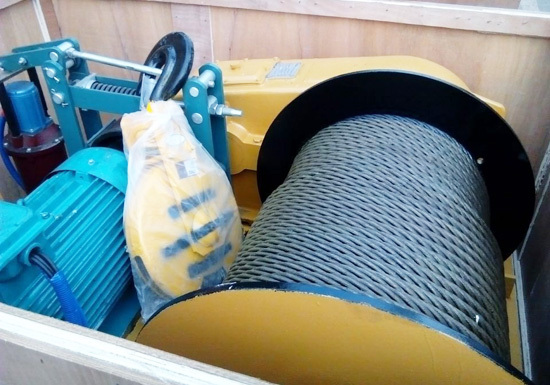 Whether you desire a lifting hydraulic winch or electric powered winch, you can find the best winch solution at our company. We are seasoned winch manufacturer with over 10 years of experience in winch design, manufacturing, installation and maintenance. We supply the most durable and reliable lifting and pulling winch for our clients to help boost efficiency and productivity for their businesses. So it’s time to invest in a winch device. To get a lifting winch with the most competitive price, contact us online directly!